Recently, both North Carolina and South Carolina released rankings for the top courses in state, including many Jack Nicklaus designs. The North Carolina Golf Panel and the South Carolina Golf Course Rating Panel provided the rankings after much input from a variety of golfers. In South Carolina, six Nicklaus Design courses made the top-50 rankings with two courses selected in the top five. May River Golf Club (Palmetto Bluff) garnered second in the state, followed by Harbour Town Golf Links at The Sea Pines Resort (Hilton Head Island) at No. 5. Colleton River Plantation–Nicklaus Course (Bluffton) improved six spots from 2012 to its current ranking of 12th. The Cliffs at Keowee Falls (Salem) was ranked 29th; The Reserve at Lake Keowee (Sunset) 30th; and The Reserve at Woodside Plantation (Aiken) 42nd. This is the first year that The Reserve at Woodside Plantation was ranked in the top 50. Dividing South Carolina into regions, the panel named three Nicklaus Design courses to the top 10 of the Low Country. May River Golf Club ranked second, followed closely again by Harbour Town Golf Links in third. 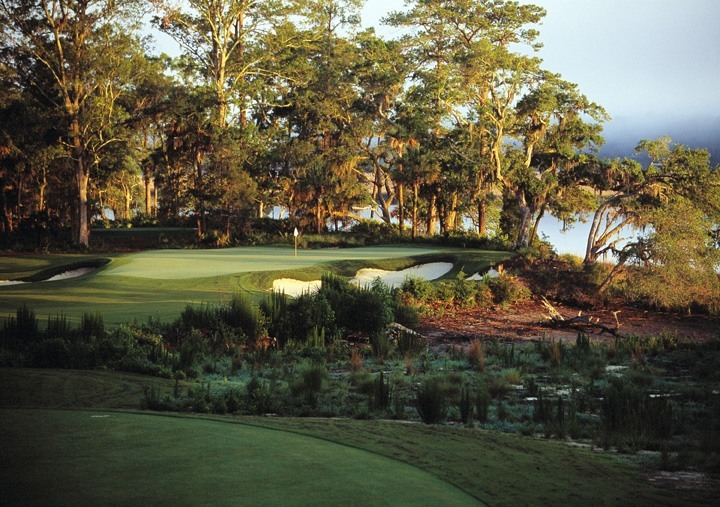 Colleton River Plantation–Nicklaus Course was rated fifth. The North Carolina Golf Panel formed two different rankings as well. Ranked seventh in the state, Nicklaus’ Elk River Club (Banner Elk) placed second in the Western North Carolina region. Although it only rated the top 10 courses, the panel mentioned that The Cliffs at Walnut Cove (Arden) ranked 63rd. Full rankings can be found below.